Don’t you hate it when a new release is heralded as the next “The Exorcist” (or whatever genre classic is appropriate for the new release?)? I do. It either sets up high expectations for the new release, or makes me cynical about watching the film. Hereditary has called the most terrifying horror film in years. Come to think about it, I can’t remember the last time I was terrified at the cinema. Is it possible to be terrified at the cinema, among a bunch of people eating popcorn and slurping drinks? These are the kind of questions I was asking myself during Hereditary. It was the most terrifying horror film in years. But, at least for the first two acts, it showed a lot of promise. Such a shame the third act descended into ludicrousness. 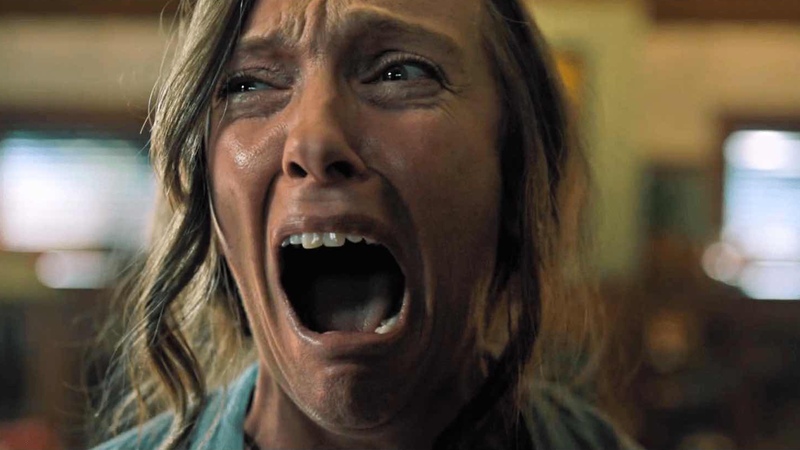 Hereditary tells the story of a family dealing with the loss of the maternal grandmother. Toni Collete plays the mother, attempting to work through her grief. The family is used to death, as we are told by the opening scroll. Grandmother dies, and spooky things start happening…sounds familiar, doesn’t it? 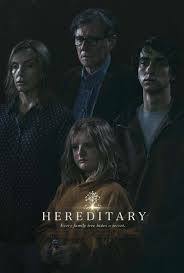 Hereditary ticks all the boxes for your average haunted house affair: séances, a child with a predilection for peculiarities (Collette’s daughter cuts off a pigeon’s head and uses it to make a figure, for example), the silent husband. What elevates this (until the final act) is the incredible score and great cinematography. It’s a film that’s designed to tickle the taste buds of the critics. You’ll read about comparison to The Shining and Rosemary’s Baby, not to mention The Exorcist. These are all films loved by critics in a genre that’s more often than not dismissed by them. Take the first scene of the film. We slowly zoom in on a miniature house, in on a bedroom. Then we stop, and the scene finds life in a man coming to wake up his child. Yes, it’s reminiscent of the garden maze zoom in The Shining, but it’s a pretty spectacular opening in and of itself. Hereditary is a film full of beautiful scenes, even among the “horror.” Single take shots took my breath away at times, and the light-switch like switching of day to night was inspired. Of course, among the style there has to be substance. At its core, Hereditary is a family drama. It does that very, very well. Collette puts on a powerhouse performance as Ellen, a woman who can only let her grief out in sporadic, anger-filled bursts. Everyone else plays their part well (especially The Handmaid’s Tale’s Aunt Lydia), but they all play second fiddle to Collette. Oscarworthy? You bet. But I was more invested in her personal drama than the horror. The horror, oh the horror. Yes, at times Hereditary is effective at evoking the chills down your spine. It’s helped a lot by the creepy score. There are certain images that will probably haunt my nightmares. But at times it’s fairly boring. I understand that tedium is often used to instil a fear of what will happen next in horror films. It’s all part of the genre. But Hereditary extends the tedium to unnecessary levels. Oh, and all of the good stuff spoiled by the erratic and frankly absurd final act. Take Paranormal Activity, for example. When talk of demonic possession arises, my logic takes over and mocks the plot (no matter how well it’s executed). When the third act of Hereditary kicks in, it’s hard to take any of it seriously. Even if it has been hinted at in the first two acts, for some reason I cannot switch my brain off and accept the ridiculous. A lot of people laughed towards the end of Hereditary in the showing that I attended. And I was one of them. At first I found the laughing annoying (even though I wanted to laugh myself), accepting it as the punishment I receive for watching a new horror film at the cinema on a Friday night. But there was one particular moment where I couldn’t hold it in any longer and burst out laughing. People started to talk among themselves. Soon we were silenced by someone shouting “look, I know the film is s**t but can we stop talking and get to the end?” But there’s a certain point where I could not take the film seriously, and thus all the effective horror built up to that point dissipated. It’s such a shame. The 70s style horror build is used well, and the central drama is intriguing. Collette puts on an Oscarworthy performance. Hereditary looks like an arthouse film (presumably why some critics are fawning over it). It looks good enough to eat. The score, more than anything else, sometimes had me gripping the arm of my chair. But shortly into the third act all that hard work is thrown away in favour of taking things to absurd extremes. I don’t mind a batty ending, as long as it’s fitting with the rest of the film. 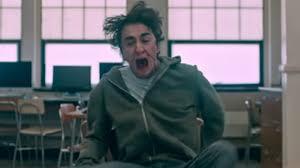 Hereditary’s end is as far away from the rest of the film as possible. Thus, it’s rather hard to rate Hereditary. A pretty good first two acts and an abominable third act. Oh, and it’s definitely not the scariest film of recent years. VERDICT: 6/10. Hereditary is not the most terrifying film in years, but it tries damned hard to creep you out in Act One and Act Two. However, in Act Three it tries hard to make you laugh out loud. A disappointment, considering all the hype. What did you think of Hereditary (2018)? Leave your thoughts/comments below! Well said, i thought I was alone in the sentiment since so many people were raving about it. I went with a friend, he thought he was ridiculous as well! So we are not alone after all!